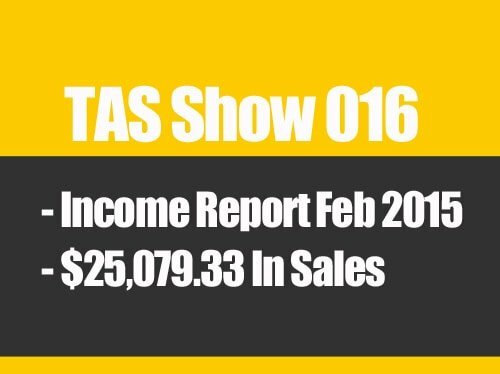 TAS 622: Ask Scott #194 – Should I Add My Products to Ebay and Other Channels? When was the last time that you got a great piece of advice that helped you and your ecommerce business? Has it been a while since you had a good insight that you’ve implemented? If you are ready to take your brand to the next level of growth, you’ve come to the right place! It is time for another session of Ask Scott here on The Amazing Seller. In this episode, you’ll hear from Scott as he shares his thought of the week, an answer to a question from a TAS follower like you, and much more. Don’t miss a minute of this informative episode! Many entrepreneurs believe that if you don’t swing for the fences every time, then you are just wasting your efforts. Do you think that is true? Does every effort have to be a home run? What if you don’t have the means or the information to go as far as you’d like, should that stop you from trying? No! Too often business leaders like you believe the lie that if you settle for a good step, you’ll never make a great step. That thinking can paralyze you and keep you complacent! Even if you can only make a small step toward your goal today, it’s better than nothing! To hear Scott explain how this simple truth has played out in his life, make sure to listen to this episode of The Amazing Seller! You only fail when you give up! What does failure look like? Is it defined by how much money you lose? According to Scott, failure is when you throw in the towel! Your journey to building your ecommerce business will be full of highs and lows along the way. How you react to those low points is up to you. Will you let it defeat you and pull you out of the game or will you keep pressing forward toward your goal? If you have any hope for long term success, you’ve got to have the right mindset. Don’t let challenges and roadblocks distract you. Listen to this episode of The Amazing Seller as Scott expands on this important lesson; you don’t want to miss it! Why you need to get your products on multiple channels. If you’ve been around the TAS community for very long, you know that Scott is passionate about helping sellers like you build out their brand and feature products on multiple channels. Why does it matter if your products are on multiple channels? Why do you need assets like email lists that are independent of Amazon? To secure a long term future for your brand! It is foolishness to put all your eggs in the Amazon basket. Give your brand a chance to succeed and look for ways to plant seeds and build out alternative channels early in your brand if possible. To get more info on how to future proof your brand, make sure to listen to this episode of The Amazing Seller. [4:20] Scott’s thought of the week, something is better than nothing. [11:15] Question: Should I add my products to Ebay and other channels? [17:30] Closing thoughts from Scott. …am I fired up. But I do have one thing I got to share with you here in a little bit. My neck is a little tweaked and I’m going to tell you how that happened. But I’m also going to tell you why that also reminded me on something that’s pretty important here for all of us to take away from this little neck injury. So I’ll share that with you here in a minute. But today what we’re going to be talking about is a question that I’ve been asked a lot but I wanted to address it. And if I’ve already mentioned it before I’m going to talk a little bit deeper about this question that came in. And the question is should I add my products to eBay or/and other channels. And it’s a great question and I want to definitely dig into that because I think there’s some things that need to be talked about. There’s some pros and cons to doing that. So that’s what we’re going to be talking about. Now before I do jump into that question let me remind you that if you have a question that you want to ask me, all you have to do is head over to theamazingseller.com/ask and you can do it over there. You can leave a voice mail which I love or you can just leave a comment. The other place you can do that is over on the YouTube channel and that can be found at theamazingsellertv.com. Again, that’s theamazingsellertv.com and that will take you over to the YouTube channel. And if you haven’t subscribed over there please do so, that would be awesome and then you can always be updated or you can be notified when I post a new video. And then the other thing is while I’m on that topic could you do me one quick favor, could you subscribe to iTunes if you haven’t done so already. And possibly leave me a review. Let me know what you think of the podcast. How has it helped you? What have you gained from listening to the podcast? I really do want to hear from you. [00:02:03] Scott: And what I want to do right now is want to give a little shout out here to a review that did come in. And the one thing that this person said it really, really made me realize that you guys do care about some of the other things I talk about not just business. So here, I’m just going to go ahead and read this quick, ‘Best podcast on FBA hands down. Five stars, Grace December.’ And this was recently posted says, ‘Scott, keep doing what you do. You’re the best. I’ve listened to several different podcasts and I always come back to yours. You have an amazing command of FBA and online businesses and you explain things in such clarity and wisdom.’ I appreciate that by the way. ‘I also admire how purposeful you are in speaking about your wife, and children and including them in the examples you give. It’s so refreshing.’ That last part really got me. Now guys listen, I do read the reviews. I read the ones that are good and I read the ones that aren’t so good. There are some negative reviews by the way. And I mentioned this before and I got some really good feedback and some positive feedback from people saying, Scott, don’t worry about that. Those people are just out there looking for free stuff, which is fine. But they are upset with you because you might be mentioning something that they can go to and purchase from you. Like the whole podcast is a pitch fest, which I think we both agree at least if you’ve been a long time listener. That’s not the case at all. Yes, do I sprinkle in every now and then a call to action that you can go over and you can join maybe the live event that we’re going to be doing or maybe one of the workshops that I’m going to be doing. Or maybe my new training that I’m doing? Like yes, I do mention that stuff but I don’t do it all that much and I’m going to deliver 100% content for free. I’ve done it for over 600 episodes by the way. But all of you that did reach out after I mentioned that on that one podcast episode recently I appreciate that. It does feel good to know that you guys are getting the value that I want to put out there and you’re appreciating it. [00:04:05] Scott: And I appreciate you. So thank you so much and I love that part there about me speaking about my wife and children and including that because that’s life. That’s reality. That is what it is. So that’s why I do that because I know that we’re a lot alike. So with that being said, let me lead into my quick thoughts because it does have to do with my wife in a sense because she helped me out here. I did this 100-day 100 pushup challenge or at least I attempted to. As something to just do, I put it up on Instagram, I was doing an Instagram story every morning and I would be in the garage, 5 o’clock, 6 o’clock and I would be doing my pushups. And I would tell people I’m doing them. It was kind of a way for me to check in. It was like accountability. And my point in sharing this is I got to day 54 and then it happened. And what happened was is I tweaked my neck on my 95th push up. Now, I don’t do all 100 pushups all at once. A lot of people say, ‘Well Scott, how many did you do?’ Generally, I’ll do 50 then I’ll take a rest, then I’ll do 25 then I’ll take a rest and then I’ll do the next 25. Then generally I’ll do a workout after that. It’s just a way for me to kind of moving and get going. And it’s something that I stick with even if I don’t work out that day. So I got to day 54 and I’ve always had this little neck shoulder issue that whenever I do like a military press or an overhead type lift I hurt myself. And it’s just a certain way that it happens. But I’ve never done it on a pushup. And the day before I kind of knew that my neck was feeling a little stiff, a little tight. You’ve probably had that feeling. You know like this one injury, or this one spot, it’s starting to get tight, it’s starting to get sore whatever. So you better take it easy. So what does Scott do? He goes out in the garage, barely stretches, gets down and starts doing his pushups. I did 50, no problem. I did 25, no problem. I get to my 20th one and bang it happened. And I knew it happened, I felt it. And she’s right but I just… You know how that is. It’s like I’m going to be fine. I’m tough. And so I had that actually have her help me get my sweat shirt off and it was kind of embarrassing but in the same breath I knew that I was going to be having to deal with her saying to me, ‘You shouldn’t have went out there and didn’t stretch and you felt it yesterday.’ I know and she’s right. But point in telling you this is number one I committed to something and I stuck to it. But what happens when you do something, you stick to it and it goes wrong or something gets in your way or something doesn’t go as planned? Like this happens in business all the time. But what do you do? Do you just stop and say, ‘Ahh I’m going to give up then.’ No, you listen or you look at the situation and you say okay, now what. So I asked myself, ‘Now what?’ Well, Scott, you have to rest. You can’t go out and work out right now. Like right now it’s been over a week and I still feel it and I’m not going out there. I’m not going to do them as much as I know that I’m losing a little bit of muscle let’s say or I’m losing my momentum. I can’t do it. Because then I’m just going to be down for another week or another two weeks. So sometimes you got to look at the situation, you got to ask yourself what can you do? So what can I do still? I can still walk. So instead of working out or instead of doing those pushups I’m just going to get out there and walk. Or I’m going to maybe… Maybe I’ll climb some hills in the neighborhood. [00:08:01] Scott: I’ll do something that I can do. So the same thing in business. If there’s something that comes up it’s out of your hands or you can’t do anything or you’re waiting for something to happen don’t stop, just because you’re waiting. Do something else. Something is better than nothing. And that’s what I really want to share with you. Something is better than nothing. Some people though they’ll start doing product research and then they’ll launch a product and then that product doesn’t go as planned. And then they just drop their hands. That’s when you lose, that’s when you fail. So you didn’t lose anything really, you actually gained a ton by going through that experience and then you can take that information and then learn and do a better job the next time or at least try to do a better job the next time. Now, am I going to blow my neck out again in the future? Probably. I know that. As much as I was on a streak there for a while I was over like four months I didn’t tweak my neck but then I tweaked it again. So are things going to happen? Yes. Like we had a big shipment coming in that we ran out of inventory on. It was a hot seller in the fourth quarter. We ran out. It was expected to be on a Monday and then we get a call that it’s held up in customs because there’s a certain certificate that wasn’t with it. And it’s always been with it but it wasn’t with it this time. So now we have this thing held up in customs, back and forth, back and forth figuring out how we’re going to get that in. Meanwhile losing $500 to $800 per day on this one SKU. Now what? What do you do? Well, you work on the other products that you have in inventory or that you have in stock. Or you just keep going. You keep going. You don’t stop but yes you tend to that issue so. So my neck injury what did I do for it? Well, I took some ibuprofen. I iced it. I put heat on it. I went back and forth with that. Had my wife rub some of that icy hot on it. Like doing things but I’m not stopping doing other things. Now was I down for a day? Yes. But did I get back in it and do what I could do the next day? Yes. So my point in sharing this, again I know like Scott what has this neck injury have to do with anything? [00:10:03] Scott: It has to do with everything. So what am I going to do? What am I going to do? I am going to eventually, when this feels right I’m going to slowly get back into it, I’m going to test it lightly. If I feel any bit I’m going to back off. But I’m going to pick up where I left off. And that’s where people go wrong. They feel like if they stop doing something then it’s all over with or that they’ve lost so much momentum that it’s no sense in going back. It’s like dieting. People diet and then they go off for one day and then they’re like, ‘Ooh, I screwed up so I’m just going to go back and eat crap for the next month.’ No, just have that one bad day, that one cheat day and then pick it back up and start eating clean the next day. It’s the same idea. So enough on that. My neck is getting better. Hopefully I’ll report back to you guys and let you guys know that I’m fully healed and I’m back in the gym because that really drives me crazy by the way that I can’t be in the gym right now doing my workouts. I feel like I’m losing muscle. And it’s not that I don’t want to big. As you’re getting older, you’re losing muscle. That’s for a whole other conversation. But anyway, that’s my thoughts. Something is better than nothing. Don’t forget that. So with that all being said, let’s go ahead and listen to this week’s question and I’ll give you my answer. Let’s do this. [00:11:17] Ian: Hey Scott. This is Ian from Vancouver Canada. And I really appreciate you answering these questions. You guys are great. My question is regarding multichannel fulfilment. I know you guys like to have your products on a bunch of different channels and not just Amazon. And I was curious because I’m considering listing my product on Etsy and eBay as well. However, I noticed that the price that the other sellers are selling for on these platforms are about half of what they sell for on Amazon. So even though my product fits the model perfectly for price point and profit on Amazon, I notice on Etsy I pretty much have to charge double what everybody else is selling since they seem to be undercutting it quite a bit. And I was curious if you think it’s still worth it to post to these other channels even if my price will have to a little higher, if there will still be some organic sales et cetera. Okay, thanks a lot. Really appreciate it. [00:12:17] Scott: Hey Ian. Thank you so much for the question and it’s a good one and I’ve got some thoughts here for you. And I’ve had a little bit of experience with eBay. I’ve had a little bit of experience with Etsy, not much with Etsy. Very little but a little bit. But I’ve had more with eBay. And here’s my thoughts. My first thought is this. It’s very simple. Test it. Take your product. Very easy to do, by the way and just list it up on eBay at the price that you want to sell it for. Because what’s going to happen is if someone is selling your identical product number one, they got to buy it from you and if they are not then you can just report it to eBay that they are selling a counterfeit product. But if you’re telling me that you’re selling a garlic press and yours has different packaging and yours is a different style, even if it’s not a different style, it’s just different packaging but it looks different the way that you’ve presented the images and someone else is just selling it and it’s just an okay picture, it’s like not that great. And it’s just up there but it’s cheaper, well a lot of times people will buy the more expensive one because it looks as though it’s better quality. They don’t want to buy the cheaper version. I don’t know that in your case but I would test it. It’s not going to take you that long to set up an eBay listing and sell one. Now the other part of this and you can deal with that stuff later is in the fulfillment side. And there’s just different plugins that allow you to do that with eBay and I won’t get into all that stuff. I know one is Joe Lister. I haven’t used them but that is one that I have heard of before. It’s Joe Lister. But basically that will allow you to sell on eBay and then it will connect over to your inventory in Amazon and then Amazon will fulfill it as like a pick and pack without the advertising fee. It’s the same thing if you did it off of a Shopify store. Any of that stuff. So the fulfilment side in the beginning I wouldn’t worry about. I’d worry about just seeing if you’re getting any sales. And just see what happens. You can run sponsored ads on eBay as well. So it might be worth testing. But I have seen that eBay sales are generally not that much compared to Amazon. And again though, on eBay you will get some of that information because eBay does supply us with some of that information. So every sale you technically can communicate with those people back and forth. [00:14:32] Scott: Kind of like Amazon but you actually can get more of their information. So it might be worth testing. So I would test it. I would try it. And I would love for you to report back and let me know how it goes. But again, you don’t want to lose money on those sales. And you are going to be shipping the product yourself unless you connect it into your fulfilment which will be another thing. But I won’t worry about that yet. Like I said until you test it. Etsy, same idea. If your product fits the mold of Etsy and Etsy has gotten a little bit better. Actually, a lot better as far as it doesn’t have to be just strictly like knitting and crocheting and embroidering. Like that’s generally what it used to be and it’s still kind it is but they do have a little bit more flexibility now. So I’d test it if it fits that, if it fits that mold for Etsy. Try it. Those are two simple channels that I would test really like first. I would do that before even like Walmart because Walmart is a lot more red tape and stuff to get yourself proved, get yourself up there. And then once you get yourself up there you might not get the sales that you’re hoping for but you did all that work. So I would do eBay and Etsy first. I would try those first. And again, the main thing, the main thing that I would do is I would make sure that my pictures were standing out. I’d make sure that my pictures were better. I’d make sure that my listing looks more professional. Because you know how the eBay listings are a lot of times. It just looks, it looks so old school like web page look. It looks just really like 1990s-ish or early 2000s. It looks really, really old school. But you can create your listing to look more professional by pictures, by the way that it’s formatted. Just the way that it looks in general and then when someone goes there they feel as though they are buying from a company more so than just a random eBay seller that’s reselling something. So there is a difference there. And I think you could, depending on your product of course in your market you could definitely do a better job and probably get the higher price. [00:16:35] Scott: So again, I would test it. It’s definitely worth testing and like I said report back to me on that. So anyone else listening if you have a product and you’re not listing it on eBay, give it a test. See what happens. And the other thing I want to bring up here, I’ve actually heard the opposite sometimes. I’ve heard some people buying the product on Amazon for what you’re selling it for and selling it for $10 higher. So that could work the other way too. So again, it might be worth a test, put it up on eBay, put it up on Etsy, whichever one you want or both and give it a test. You never know. I know Etsy is generally higher depending on what you’re selling and then Amazon is a little bit less and eBay can be a little bit less but Etsy seems to be a little bit higher a lot of times. So again, give it a test, that’s all I can say. I can’t say it’s going to work for you or not. You got test it for yourself but I would definitely test it without a doubt. So hopefully that answered your question. Anyone else that has a question, all you have to do is head over to theamazingseller.com/ask and do that. And like I said these Ask Scott sessions are like us sitting around the table together at a coffee shop hanging out and we’re just answering questions we’re discussing this business stuff and life stuff too every now and then like the neck injury. So guys, the show notes to this episode can be found at theamazingseller.com/622 and if you want to again ask a question head over to theamazingseller.com/ask and I’d love to hear from you. All right. So that’s going to wrap it up. As always guys, remember I’m here for you, I believe in you and I’m rooting for you. But you have to, you have to… Come on say it with me, say it loud, say it proud, “Take action.” Have an awesome, amazing day and I’ll see you right back here on the next episode.